There are a wide variety of weed wackers available on the market today. But which one do you choose? 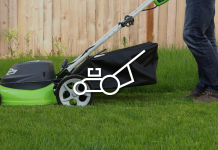 Our Weed Wacker reviews are here to help. With so many choices and different options it can be overwhelming to find a good one. Wouldn’t it be great if there was a resource that you could use to compare many different weed wackers at a glance and be able to know which one is right for you? 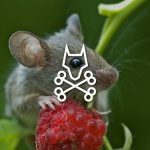 Well you’re in luck because I have compiled an epic guide of 10 different weed wacker reviews and tips to help you sort through the list and find one to suit your needs. This cord-powered trimmer is a nice little trimmer and gets the job done. It has 2 strings so it cuts faster and lasts a bit longer. It is lightweight, easy to assemble and the handle is adjustable. But if you are taller it might not extend far enough for you. 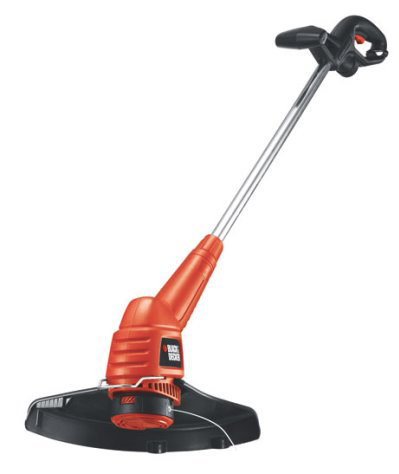 Also, it doesn’t vibrate as much as gas trimmers, so your arm won’t be tingling afterwards. Here’s the thing, because this grass trimmer has a cord, it is easier to use but you need to make sure you get a cord long enough to cover your yard. 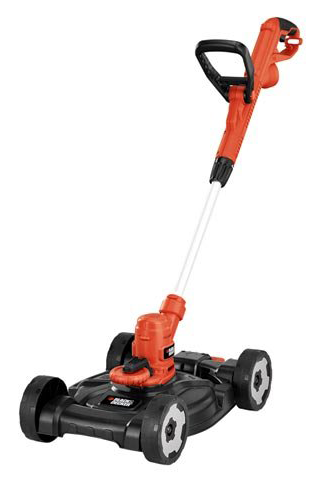 This battery-powered trimmer cuts well and gives you good precision, especially if you are trimming around bushes or flowers. Because it is battery-powered, no need to put oil in it, it starts with just the push of a button and no need to drag around a heavy cord. That being said, it’s a good idea to get a second battery. It typically doesn’t last longer than 30 minutes on high-power. 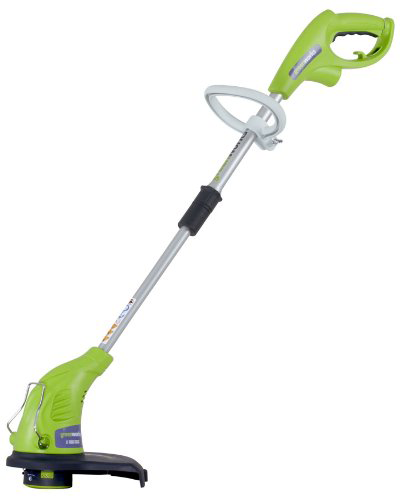 My point is that it’s a great grass trimmer and it’s easy to use and requires little effort to get going. 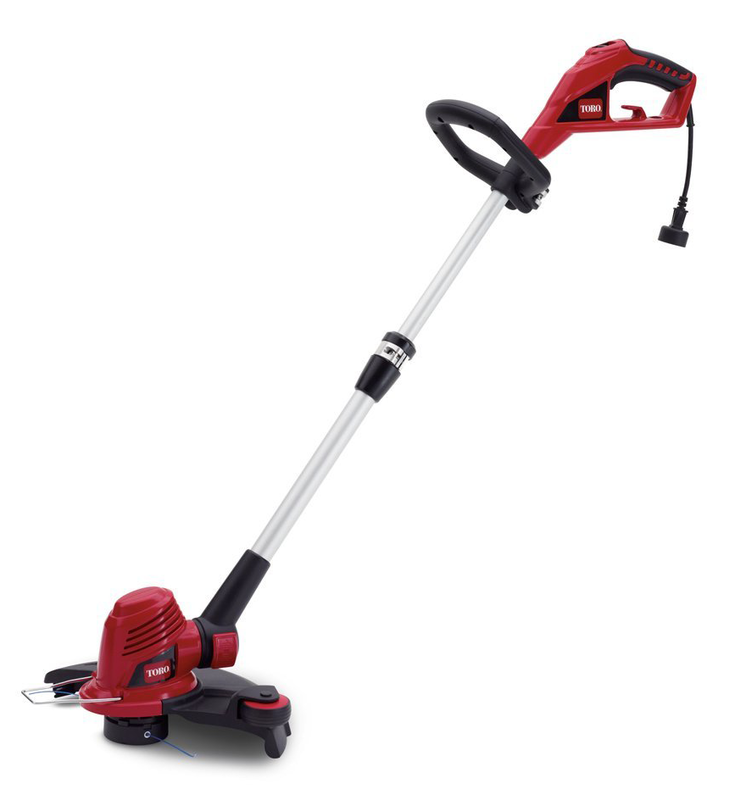 It is also lightweight and gives you more freedom than a cord trimmer. Although this trimmer has less power than a 40-volt model, it is very useful and actually has 2 power settings. The 2 settings give you the ability to conserve power if you don’t need to have it on high all the time. 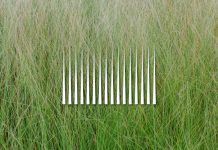 You can easily cut through most weeds wth the first setting. Also, it comes with 2 batteries so you can easily switch it out when one runs out. 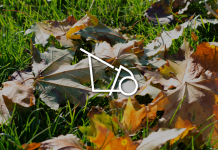 But there’s more, you also have the ability to rotate the grass trimmer head. This means that it also works as an edger. It does an adequate job if you don’t need to do an excessive amount of trimming. This gadget is a 3-in-1 tool that allows you to be able to mow, trim and edge all with the same tool. 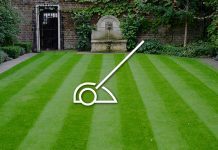 Think about that for a minute, you can easily do all of your lawn-maintenance with one simple tool. Easily switch between one tool and the other. Although the power is nice, it isn’t going to cut down thick weeds or really tall gas. Also, it is electric so there is no fuel to mess with. This makes this weed eater much more convenient. 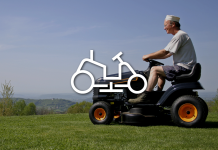 If you have a larger yard, a riding mower is probably a better choice. 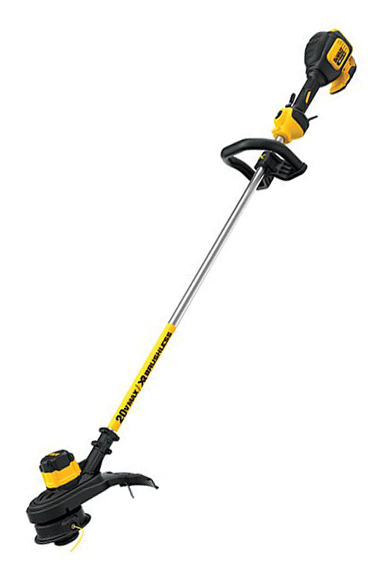 For a smaller, electric trimmer I wasn’t expecting it to be very powerful, but I was pleasantly surprised when it cut down some pretty heavy grass and weeds. 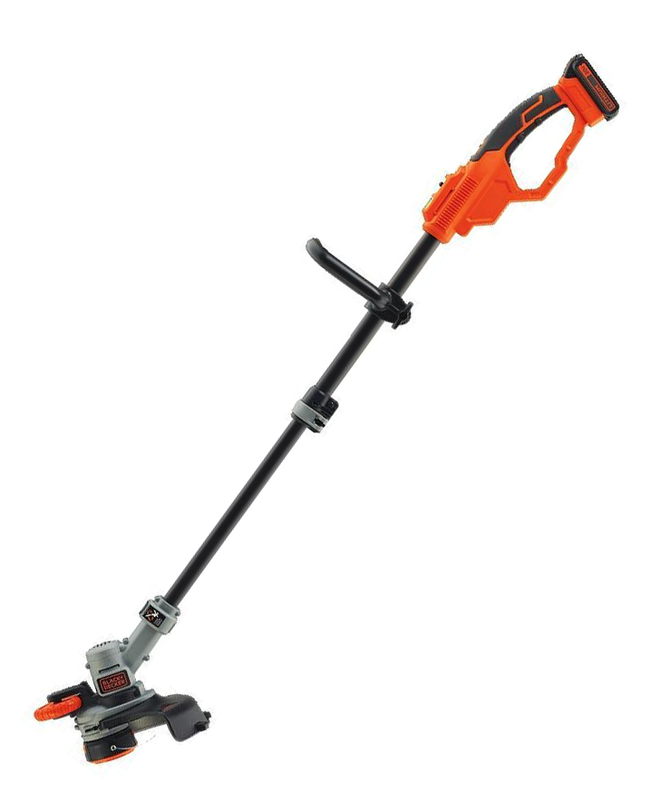 This weed trimmer and edger has a nice auto feed function that is supposed to let out extra string, which is common with other trimmers. Let me explain, it lets out string every time you start it up. To get out more string you have to start and stop it several times. 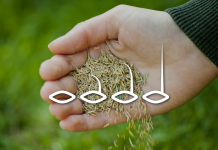 Here’s the thing, that gets pretty annoying after a while and it gets worse the heavier the weeds are. Also, the string that comes with it tends to wear out quickly. 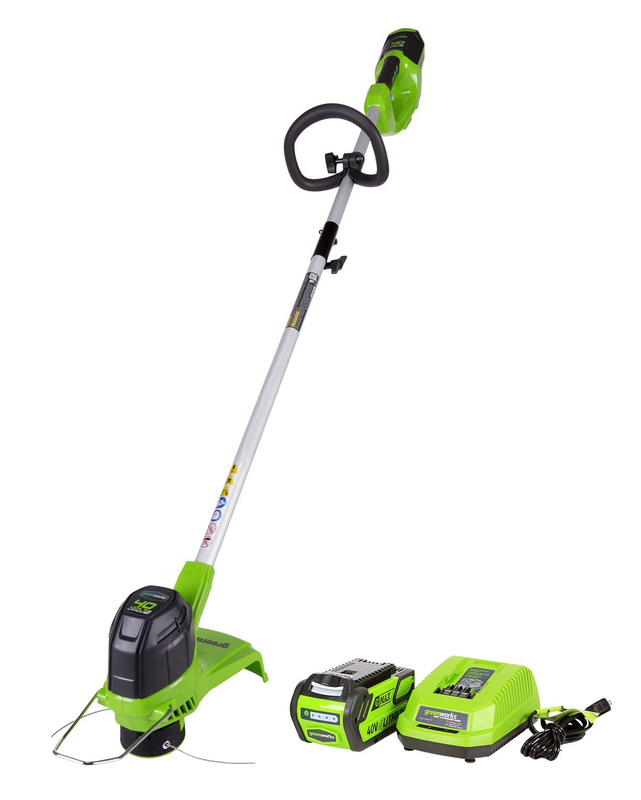 This battery-powered weed trimmer is lightweight and has a good amount of power. It has 6 different power speeds and you can use it on the highest speed for about 45 minutes before the battery dies. The 6 power settings are great for different jobs and you can get real control over the power of the tool. But there’s more, this weed eater also has a blower that is good for cleaning up grass and leaves on the driveway or cleaning out the garage. The battery doesn’t get hot and the convenience is great. Here’s the thing, this is great for just about any job and has great power that makes it easy to cut down the toughest of weeds. This is a great option and so easy to assemble. Just snap it together and you’re ready to go. Even with a sizeable yard, I was pleased with the power of this tool. It is a cord-powered weed eater, so no need to mess with gas and oil. 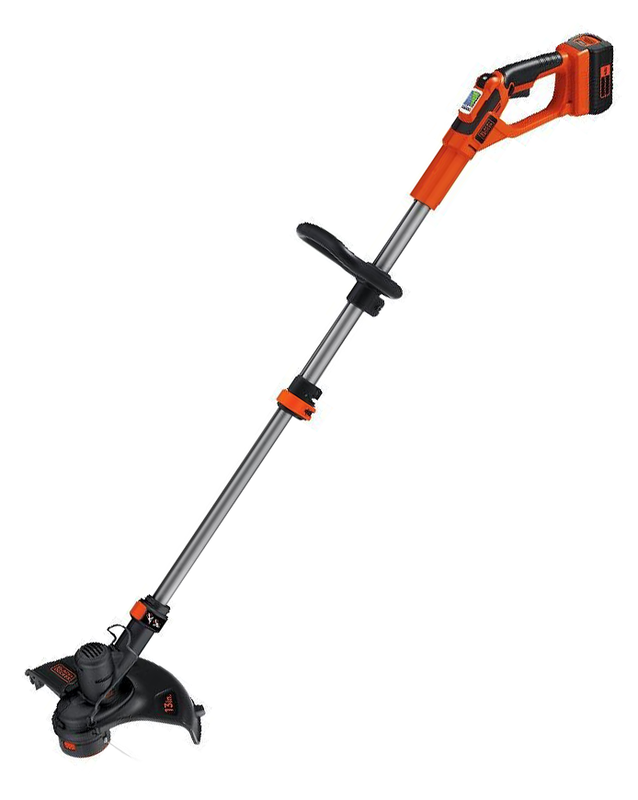 It is pretty high-powered and cut down some very overgrown weeds, which is what you want in a weed trimmer. It’s less expensive than a gas weed wacker but gives you almost the same power. Of course, you can only go as far as the cord, so I recommend getting a 100ft one if possible. But here’s the thing, it has questionable durability as it quit working after the first season of use. The good thing is that it has a 2-year warranty so I was able to get a brand new one. 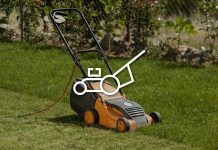 For an electric string trimmer, this is good because it provides more power than a battery-operated model and lasts longer. The automatic feature is a nice bonus, but keep in mind that continually starting and stopping it will cause you to waste excess string. The power is high enough to trim for at least an hour continuously. What I mean is, you need to hold the trigger down continuously to avoid wasting the string and make it last longer. This is not ideal and may make your hand tired. As far as battery trimmers go, this one is very high powered for a 20-volt model. 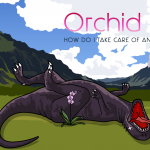 It can handle pretty tough weeds. I was surprised when I first used it, expecting the battery to go out rather quickly. But I was able to use the low speed and trim most of what I needed. It also has a nice padded grip, it’s well balanced so it doesn’t feel too heavy and easy to use. The low setting will get most jobs done and it lasts a long time without needing to be charged. Like most other weed wacker reviews, this one has both positives and negatives so I think it comes down to your personal preference and what you’re looking for. One downside is that it doesn’t have a rotating head and the guard plate is a bit small. Also, there is no harness that comes with this model. 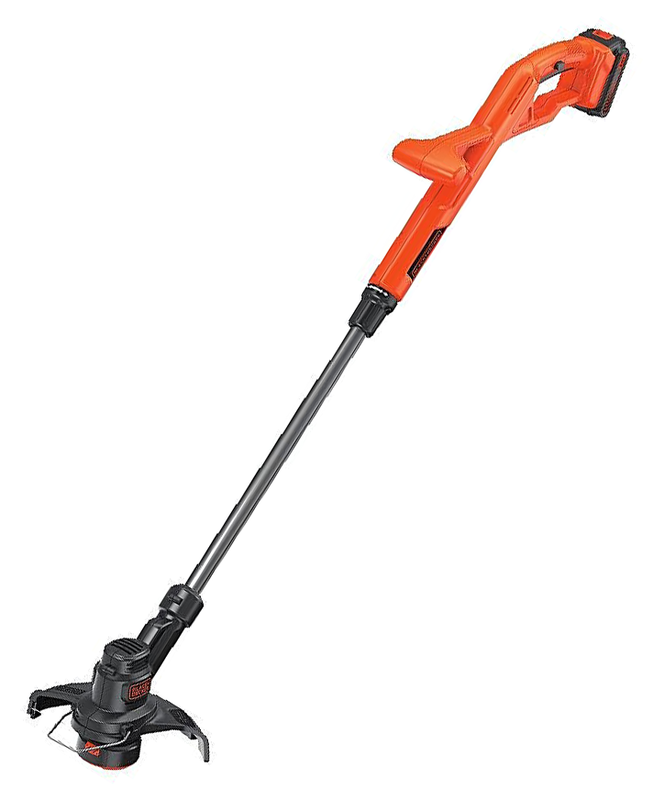 This is a double string trimmer that tackles grass and weeds like a champion. It is not very heavy and has a good balance, which means you can keep trimming without getting tired. It is a bit limited in use and the pole doesn’t adjust to fit your height. This can make it somewhat awkward to use, especially for shorter individuals. That being said, it does have an adjustable head to allow you to use it as an edger. The string lasts very nicely and seems to cut the weeds very effectively. 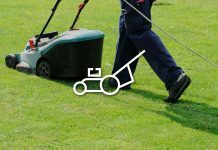 However, you might want to consider a higher-powered lawn trimmer for thicker weeds. What type of gas do you use with a weed wacker? 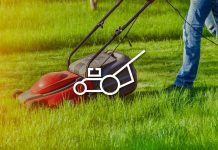 If you have a weed wacker that is powered by gas, it uses a 2 cycle engine that is cooled by air and has a reservoir for gas and oil. You need to make sure that you are using 89 octane gas, with no more than 10 percent alcohol, which is what manufacturers recommend. It is advised not to use 87 octane gas, but I know others who have done this by mistake and haven’t had issues. Of course, always go with what the manufactures recommend. What is the correct mixture of gas and oil? 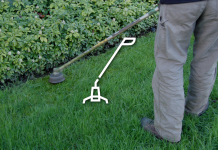 Gas-powered trimmers use a ratio of gas to oil and it’s important to get the right combination. Let me explain. Most weed eaters use a 40 to 1 ratio of gas to oil. This equals 1 gallon of gas to 3.2 ounces of oil. Keep in mind that the oil should be formulated and car motor oil should not be used because it can potentially damage the engine. 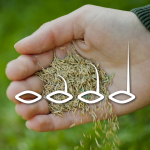 Some brands, such as the Echo trimmers, use a 50 to 1 ratio, which means 2.6 ounces of oil for every gallon of gas. Remember to read the instructions for your machine; most of them have the gas-to-oil ration on the fuel tank and in the owner’s manual. If you have a string trimmer, you will often need to restring them. This can be a difficult process if you don’t know how to do it properly. Remove the spool from the trimmer head. Depending on the length you need, cut 15 to 25 inches of string. If you have a trimmer that uses 2 strings, cut 2 strings of the same length. Find the hole in the center of the spool and Pull the string through so that ½ an inch is hanging out. 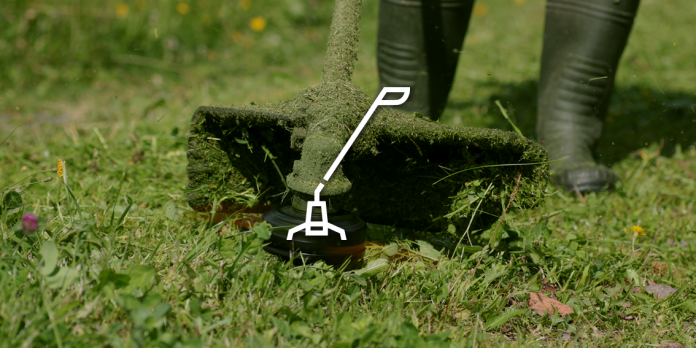 If you have a 2-string trimmer, be sure to do one string at a time. Wind the string around the spool. Lay the string side by side before overlapping to start the next layer. Leave 6 inches at the end of the spool unwound. Then, clip the end of the string in the notch at the end of the spool. 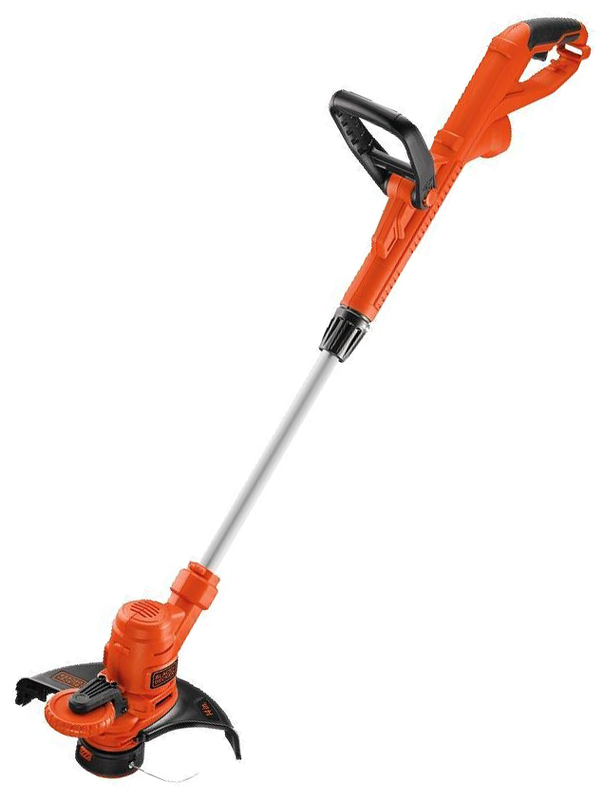 2-string trimmers have 2 notches. Place the spool back in the trimmer head. Unlatch the notch and feed the loose end through the exit hole. Do the same with the second string if you have two. Reattach the head back in place. 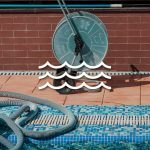 Make sure it is secured and you are ready to start trimming. 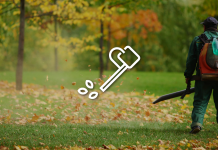 Storing a weed wacker properly can help you to take better care of it. 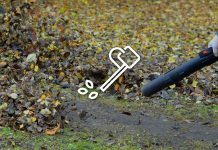 If you have a gas trimmer, you shouldn’t need to drain the fuel tank. 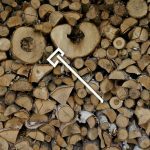 A great way to store trimmers is hanging up, ideally keeping the engine right-way up. If you have a battery trimmer, take the battery out when storing it, so you don’t drain it. Electric trimmers should be stored in a dry place, either lying flat or hanging up with the head pointed down. Overall, which weed wacker you decide on is up to you. Weed wackers are a great option to quickly cut through weeds and they are much nicer than pulling weeds. But choosing the right one can be difficult. Using this guide of helpful weed wacker reviews will allow you to find the best one for your needs. Now it’s up to you to go pick one and try it for yourself. Previous articleDoes Grass Seed Go Bad?